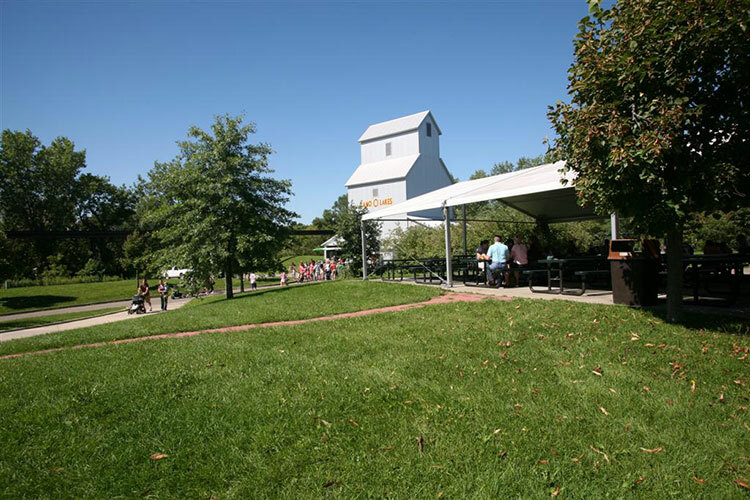 The Minnesota Zoo offers two beautiful, conveniently located picnic sites. These sites feature a covered pavilion and can accommodate groups of 65 to several thousands. 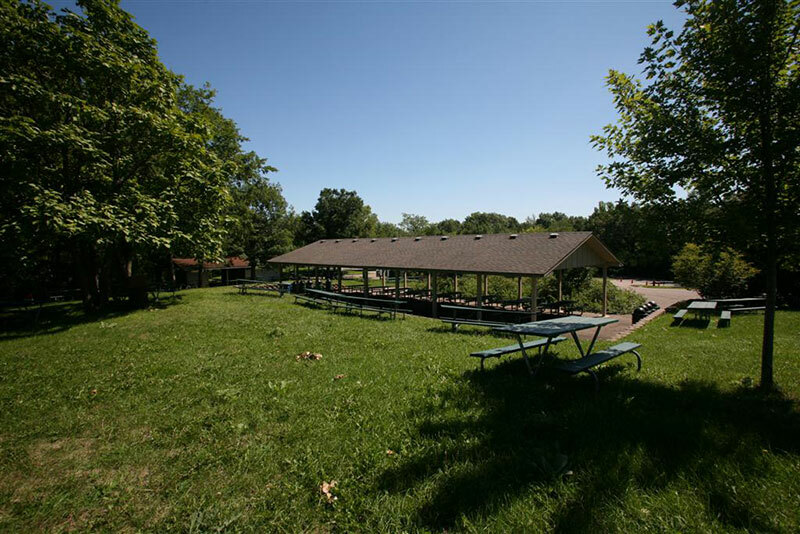 This is the largest of our picnic sites, it can accommodate several thousand people and is close to the parking lots. 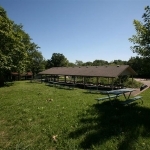 This location includes two shelters, several mature trees shading additional seating, and a large recreation area for lawn games, inflatables, or carnival games. Capacity: 400 sheltered to several thousand total. 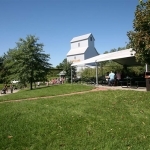 This picnic site is located on the Northern Trail, close to the Endangered Species Carousel, Hanfi Wild Woods and the grain elevator. There are two frame tents provided for shelter. Capacity: 350 sheltered. A minimum of 65 guests for each picnic site. We offer three picnic times during Zoo hours. You may reserve a time that works best for your group. $250 cost for the shelter rental. Contact us for a complete picnic proposal including estimated costs & further details. Our food is freshly grilled and prepared onsite at your shelter. All catering is provided exclusively by Lancer Catering. Zoo Bucks: These special dollars can be used throughout the Zoo to enjoy the many different options we have to offer such as food service and gift shops. Zoo Bucks are sold in $1 increments. ZooMobile: Trained naturalist provide a hands on animal education and entertaining environmental experience. Entertainment options: face painting, temporary tattoos, inflatables, and games.